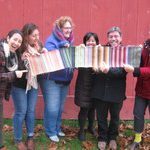 We will be closed for two weeks this December in order to complete our end-of-year physical inventory and to enjoy the holidays with our families. We thank you for your business in 2017 and wish you a wonderful time with family and friends, as well! 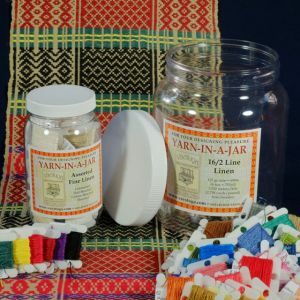 We are excited to announce that the Line Linen Yarn-in-a-Jar is available on our web store as a set of all our available line linen. 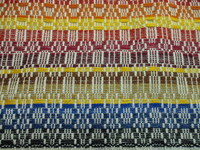 The large jar contains all the colors of our 16/2 Line Linen, which are also the same colors as the 16/1 Line Linen. 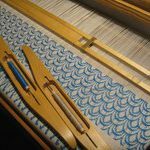 An adorable little jar is included that contains pirnettes of all of our assorted weight Line Linens in both single and plied, in unbleached, golden bleached, 1/2-bleached, and bleached. 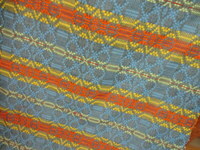 An insert with the respective statistics is included, as well. 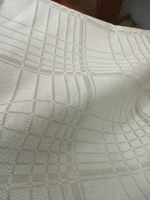 This great set of Line Linen is perfect for your designing pleasure! 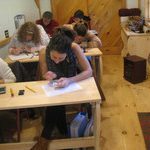 The 15-week Väv Immersion Program is drawing to a close and we are happy to announce that it was a great success. 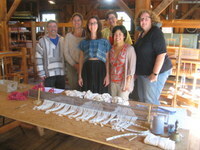 We are also sad to see these six talented and good-humored weavers take their leave. 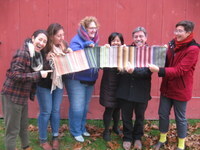 We wish Christine, Danielle, Emily, Joan, Kira, and Michael all the best in their future weaving endeavors! 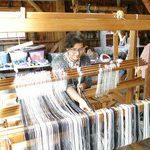 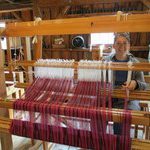 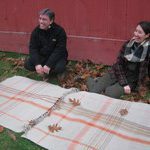 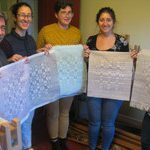 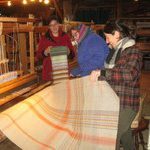 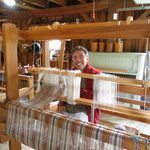 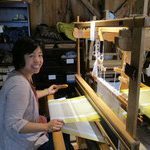 A Väv Immersion Celebration and Grand Exhibition of their weaving and learning will be held on Saturday, December 16th, from 1-4pm at 80 Bassett Road, Shelburne Falls. 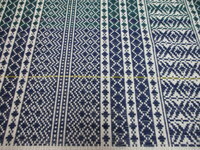 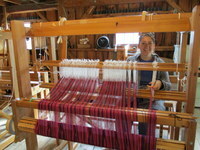 We hope our local weaving friends will join us! 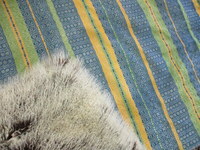 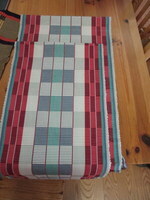 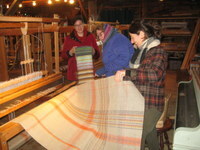 Here are a few pictures of their recent weaving adventures in the barn and in the classroom. 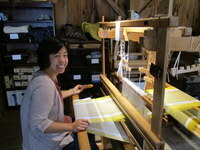 We’ll share more pictures of their many accomplishments in our January News. 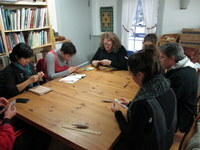 We had a full house for both our October and November Vävstuga Favorites and Vävstuga Treasures classes. 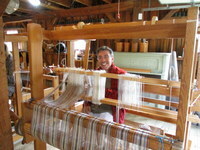 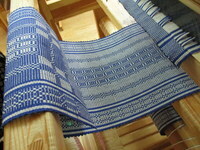 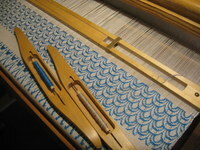 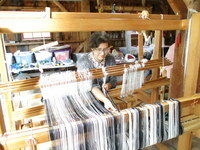 Here are pictures of some of their beautiful projects on the loom. 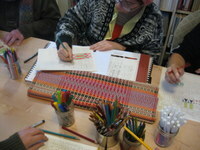 Beth Brown-Reinsel is such a delight to have as a guest teacher at Vävstuga! 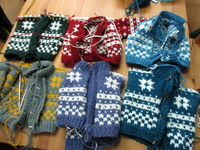 This year’s class worked on a sample of the Norwegian Fana cardigan sweater, using our beautiful Tuna wool yarn. 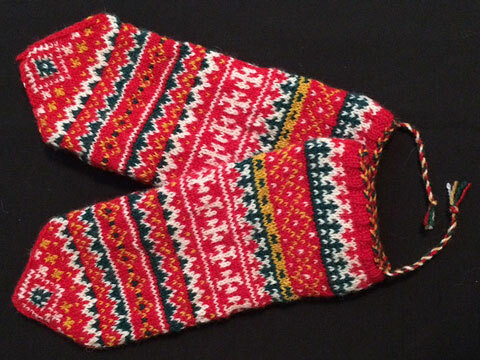 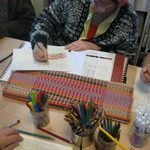 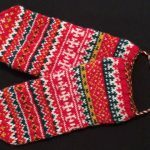 Next year Beth will offer the traditional Saami mittens in her Scandinavian Knitting class, October 17-19, 2018. 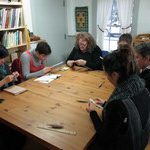 Our last class of 2017 was the traditional Scandinavian birch bark ornament with guest teacher Elaine Moe. 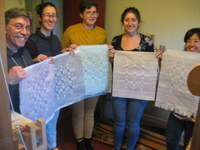 While it took patience and careful folding, everyone had a great time. 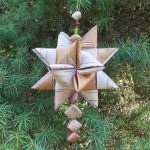 Elaine will be back to teach Birch Bark Weaving next year, so you can plan to create one of these Scandinavian treasures on Friday, August 17, 2018. 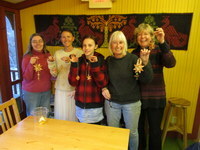 Happy Holidays and Happy New Year from Becky, Bettie, Kim, Tonya, and Laurie!